Welcome to Desert Air Alaska! We'll move mountains to make sure your cargo arrives on site, on time. 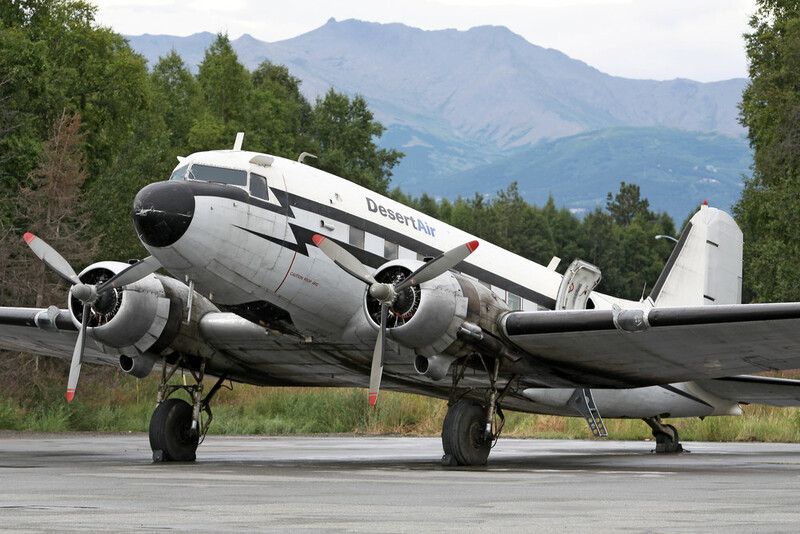 Our legendary aircraft, two DC-3's and a venerable CV-240, along with the experience of seasoned Alaska pilots, permits us to chart the most direct route for your shipment until it reaches the destination, all along assuring that there’s no delay, diversion or mishandling. We fly freight to over 200 locations in Alaska. We can get your cargo to where it needs to be. DesertAir Alaska is a charter freight service offering large haul capacity to rural runways and remote sites. Smooth, direct and reliable - we have a host of services like HAZMAT and oversize freight accommodation with no extra handling fees. We Don’t Break Your Stuff! We Get Your Stuff Where You Want It When You Need It! We Don’t Charge You Extra for Your Stuff!